I stumbled upon this recipe care of Pinterest and immediately knew that I needed to attempt to do it on the Kamado Joe. The recipe and link to the original content is below, the only changes I made to the recipe was to cook it in the Kamado, I aimed for a similar dome temperature 190c [375f] and the cooking duration. In the Kamado it went closer to 1hr 10 mins. Bake for 35-45 minutes until golden. When cooked the loaf will sound hollow if tapped on the base. Pull-apart and enjoy. This bread is best served warm. I really enjoyed this cook, thanks to the creator and the fantastic instructions it was very easy to follow and the end result was amazing. 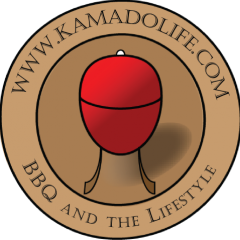 If you are curious as to the flexibility of the Kamado style cookers, check out some of these pictures – perfect bread. The crust was amazing. Between my wife and I, we couldn’t eat it all while hot (although we wanted to) So I popped it in the fridge wrapped in foil and reheated (in the microwave, sans foil) and it was still amazing. Get out there and experiment you will be pleasantly surprised. I love olive loaf so this is going on my to bake list.